A sturdy, non-bending aluminum shaft and two sturdy handles, one fixed to the shaft and one attached to the mop head, making it is easy to control how much moisture is left in the mop head, as it is twisted around the shaft. 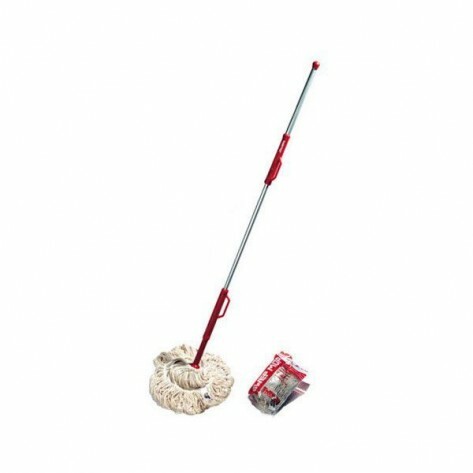 Features: A sturdy, non-bending aluminum shaft and two sturdy handles, one fixed to the shaft and one attached to the mop head, making it is easy to control how much moisture is left in the mop head, as it is twisted around the shaft. Looped mop: possible to exert downward pressure while mopping, allowing the user to actively rub a spot with stubborn dirt. The shaft breaks into two parts for easy storage. 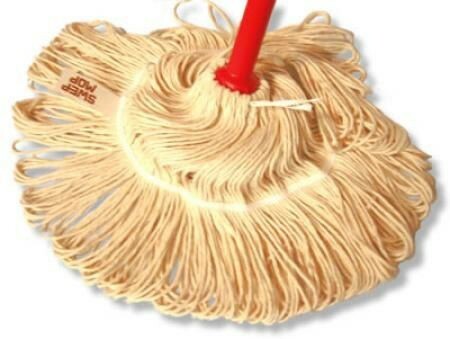 Should the mop head ever wear out, we can ship a replacement.